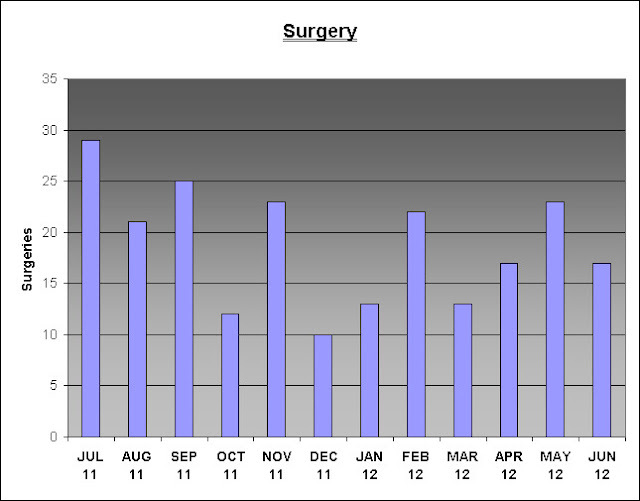 The graphs below show the total number of outpatients, surgeries and deliveries conducted at KCH on a monthly basis during the time period of July 2011 to June 2012. 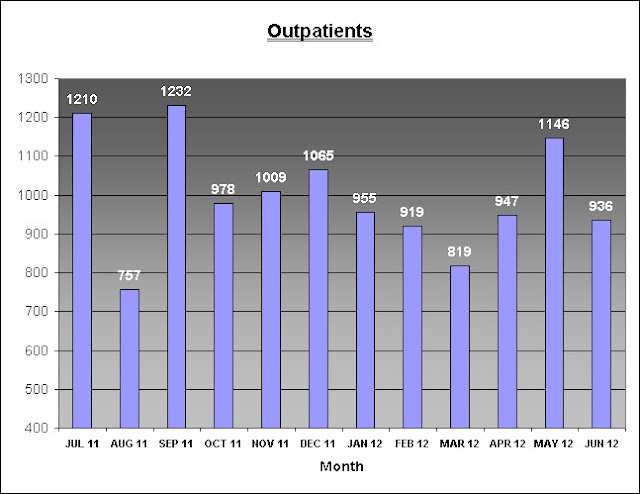 The total number of outpatients visits was 11973. Total number of surgeries performed were 225. 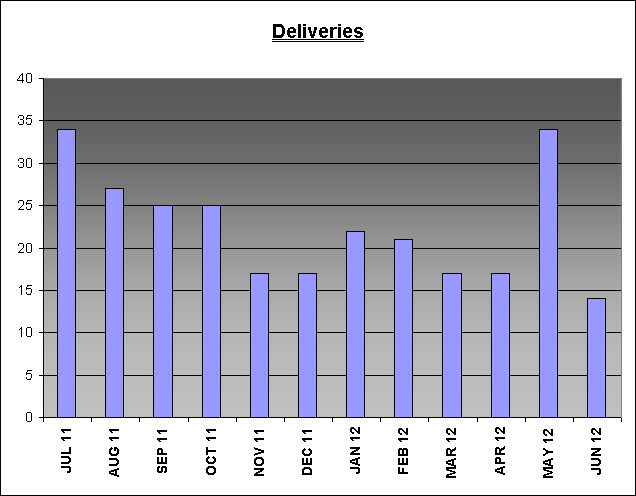 A total of 270 deliveries were conducted.